The SLC team is growing! We’re d elighted to welcome Sara Harden on board as editor on SLC’s growing portfolio of online Medical English and Test Preparation courses (OET and IELTS). Sara has hugely impressive experience creating and editing digital English Language Teaching (ELT) materials, having worked with many of the top names in the industry, including Cambridge University Press and Kaplan. 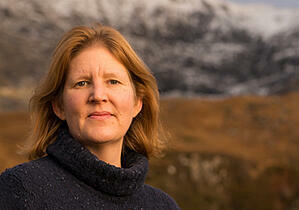 Sara has managed highly complex content creation projects, working on courses designed for a wide variety of learners. These include English for Specific Purposes, teacher training, business English and English for young learners. Sara’s experience will be invaluable when editing SLC’s specialized courses. This year, Sara will be working on SLC’s upcoming courses in Medical Terminology, English for Radiography, and a Grammar specifically written for medical professionals and students. Sara will also be helping create the Teacher Support materials that will accompany all SLC courses. In this way, universities and schools will be able to use the courses with their students, both in and out of the classroom.